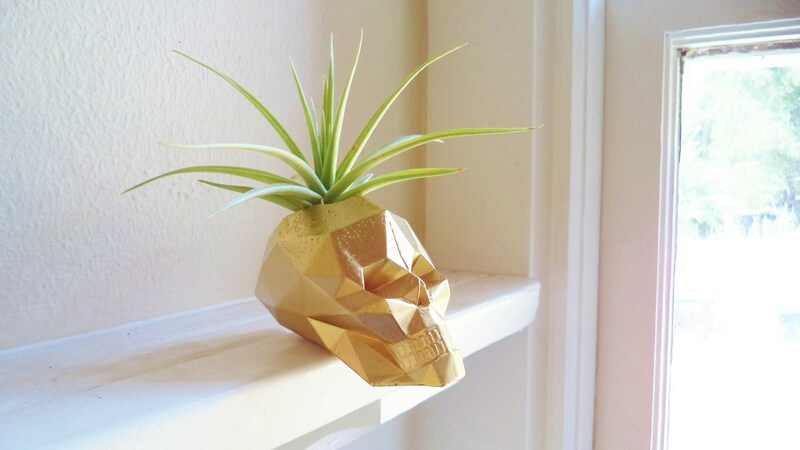 Due to the angular nature of its design, the skull is balanced when hanging partially off a shelf or ledge of some kind. WILL NOT SIT UPRIGHT WITHOUT THAT EDGE. Looks awesome sitting at an angle too! Hole size for plant will vary from 7/8" to 1". 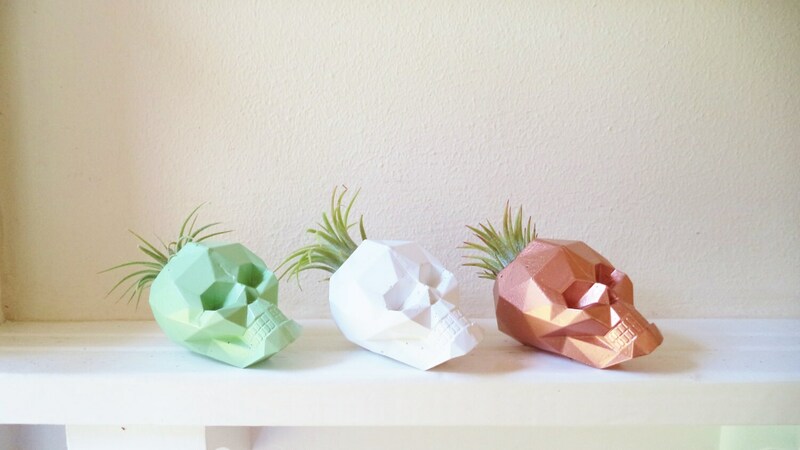 perfect for tiny succulents, tiny cacti, air plants work perfectly. 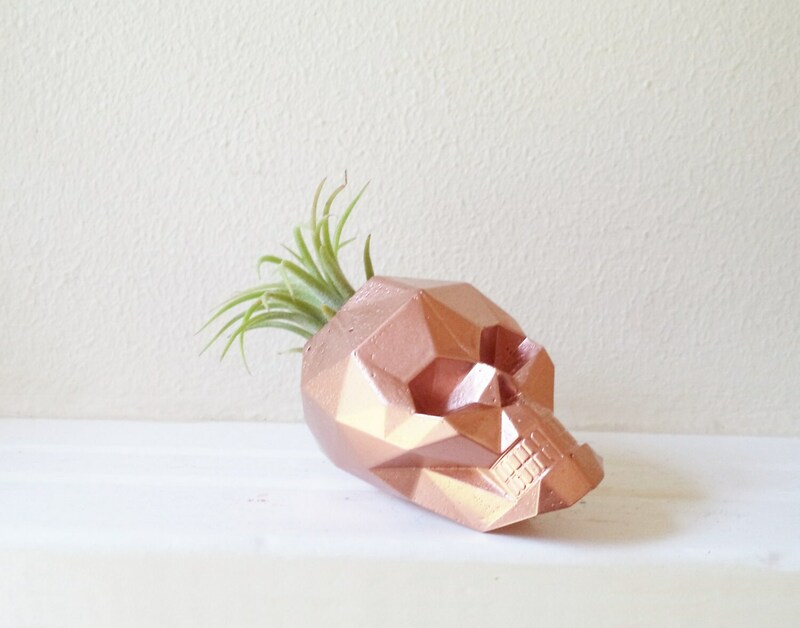 I'm in love with my new skull planter. 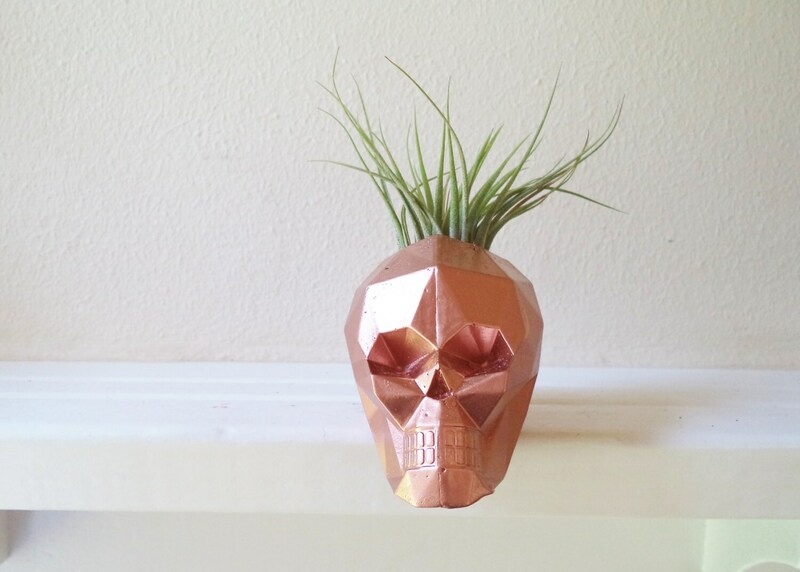 It looks so cute with the air plant in his head. Bought as a gift and it is so cute!! She loved it! 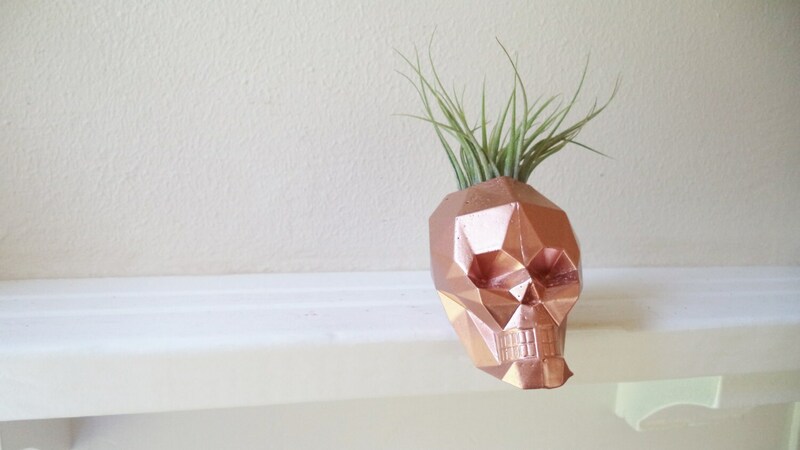 This little skull is awesome! It's a little smaller than i thought it was gonna be, but love it none the less! !